You can’t be much more under the radar than The Retrieval was when it hit the film festival circuit in 2013. And that didn’t change when it was launched in some theatres in 2014. Now it’s 2015 and I only came across this movie because it was released on Netflix. The story sounded interesting, the handful of ratings on IMDb were positive, and so I figured I’d give it a chance. And that’s why sometimes it pays to give an unheralded indie film a shot in the dark, because every once in a while you catch something great that almost no one has seen. This film may not stick with me for years, won’t win anything but a few festival awards, and perhaps isn’t a definite Must See. But it’s nice to be surprised. Although the American Civil War rages on, not everyone has chosen sides. Some are keeping their heads down, trying to survive, while others are profiting off of the trouble that circles any conflict. One such group is a band of bounty hunters, white men whose job is to hunt down runaway slaves, return them to their masters, and get paid for their trouble. In order to succeed at this awful venture, they need faces on their side that the escapees can trust, bait to draw them back in. That’s where Will and his uncle Marcus come in, African American men who ignore morality for money, who will do nearly anything to get the job done. But when they are sent with a lie about a dying brother in order to nab a runaway, Will begins to understand the depth of what he is doing, the betrayal he’s in control of, and the consequences of his greed. It’s a rough movie to watch, one filled with terrible choices during a terrible time. There are heroes and villains, but there are also gray ares, cases of survival and self-preservation, of doing what’s wrong in order to live. Will becomes a focal point of this struggle, of learning about the world from evil & desperate men, of trying to understand what act is worth what price. Newcomer Ashton Sanders plays Will very well, with few words spoken at times, but with a great depth of emotion. Scott & John take their characters to the edge, one good & one bad, showing the paths that Will can take and the results of that decision. And the setting was pretty masterful; the swamps, the woods, the shacks, the lonely fields, the war all around. 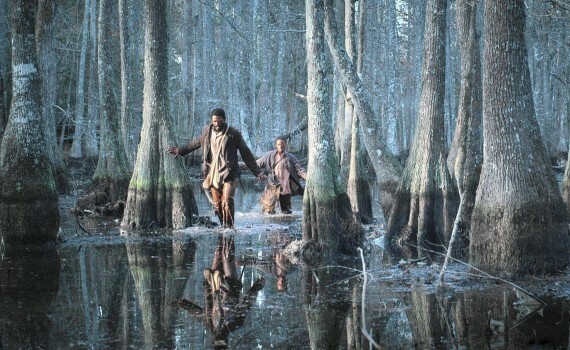 If you enjoy the Civil War, the drama inherent in this time, and some quietly powerful moments, The Retrieval is a strong film that brings it all to life in a vivid, sometimes horrible, reality.